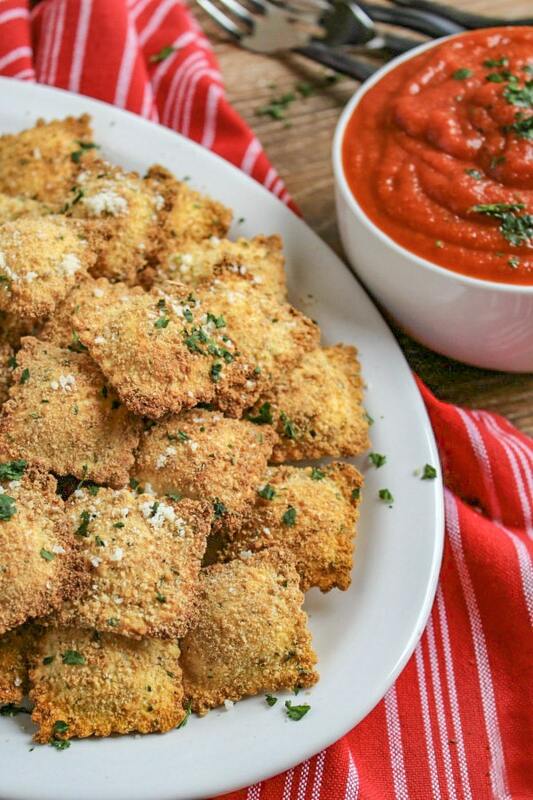 Savory, cheesy, delicious Fried Ravioli is a fun easy to make totally addictive appetizer that is perfect for a party or game day. Everyone will think you worked so hard to make these and only you’ll know they were ready in just about 30 minutes. We love having get togethers with family and friends. One of the things I like best about entertaining is looking for fun new appetizers to serve. 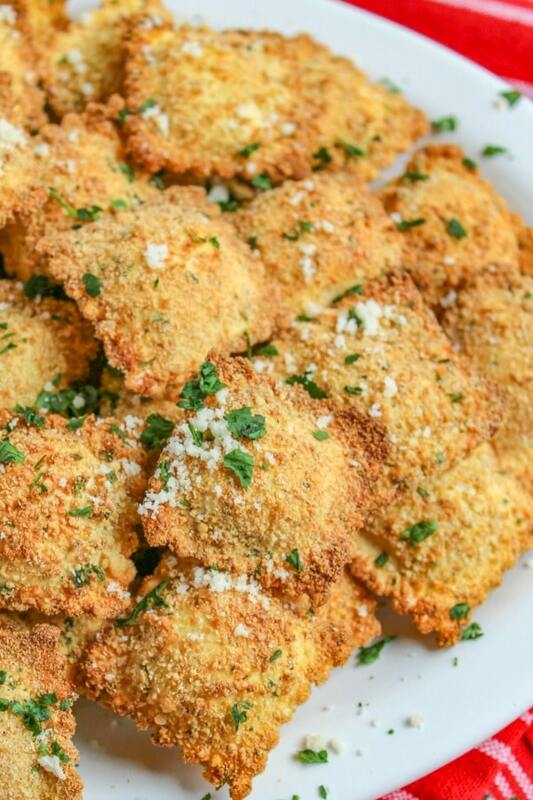 When we had family over last weekend I made these Fried Ravioli and they were an instant hit! Are Fried Ravioli really Italian? Fried Ravioli is uniquely American. 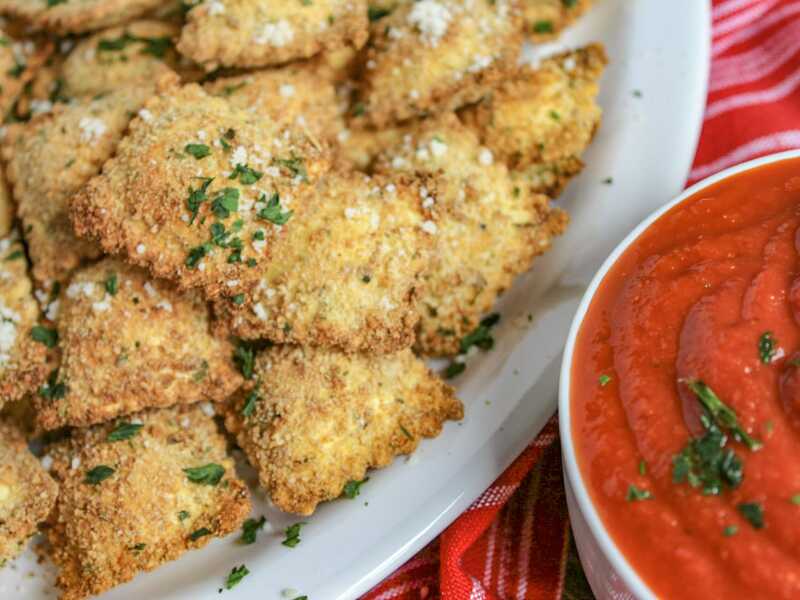 In fact the origins of this breaded and deep fried appetizer are from St. Louis and it can be found on the menus of many restaurants in the The Hill, a predominately Italian neighborhood. There are actually two ways you can make this appetizer. The first is to bread and deep fry the ravioli in oil. The second is to bread and bake the ravioli in the oven. Of course these Fried Ravioli need a great sauce for dipping like my 15 Minute Mariana Sauce or your favorite jarred sauce. 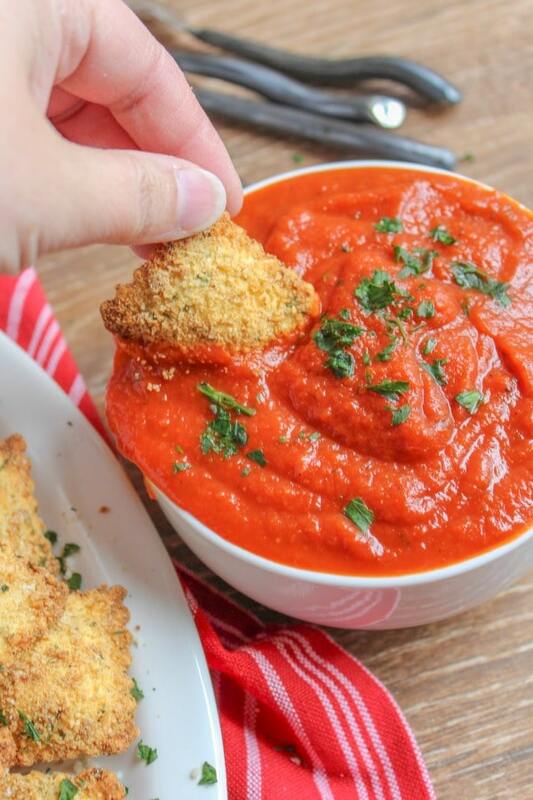 No matter what sauce you choose you can’t go wrong with this recipe for Fried Ravioli! Looking for more great party appetizers? 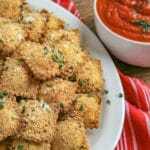 Savory, cheesy, delicious Fried Ravioli is a fun easy to make totally addictive appetizer that is perfect for a party or game day.